Is running good for you? Running has often been viewed as a potentially dangerous activity. Many people injured their knees while running. But this doesn’t mean that running is bad for you. There are different theories about how to be a good runner. Some say, that to be able to run long distance, you have to run long distances, and others say, that running that long will cause damage and not strengthen but exhausting your muscles. One key to minimizing injury from distance running is to avoid dramatic increases in mileage or intensity. Excess wear and tear can most easily result when runners push themselves too hard too quickly, undermining the body’s ability to adapt to increased stress on joints. A good standard for increasing mileage is the so-called “10-percent rule,” which states there should be no more than a 10 percent distance increase from week to week. Another way to add a layer of protection against potential injury is to use resistance training to strengthen the muscles that stabilize the tendons and joints. 1. “Don’t run to get fit, be fit to run.” This quote by physical therapist Diane Lee is important to understand in regards to long distance running. 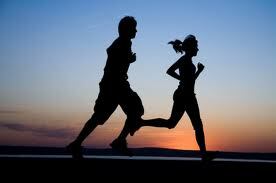 Too many beginners step outside, lace up their shoes and start running. In fact, too many experienced runners do the same thing. They disregard crucial elements of a balanced program. Without proper functional strength, mobility, stability and biomechanics, this is a recipe for injury. First get strong. And when I mean strong, I don’t mean single joint exercises like leg extensions, leg curls, biceps curls and/or triceps extensions. Strength is the ability to control the body’s weight. Strength is adequate flexibility and range of motion. Strength is left and right side symmetry. Strength is learning how to move cohesively. If you just run without being fit to run, you will increase your chances of injury. Random running without attention to progressions, strength development and smart tactics will lead to injury. You have to understand your body, pay attention to signs of overuse/overtraining symptoms and be willing to adjust the program accordingly. As an industry, let’s not bastardize running; let’s reward people for getting out there, pushing themselves and improving their health. The key is education. If you are a strength coach or running specific coach, hammer knowledge into the runners you train about smart training principles and get them to understand the complete picture. If you are a runner, be wise. Don’t just run without adding other elements to the program. Let’s remember, running is a sport that many people enjoy. Let’s encourage activity and promote smarter training so we can continue living healthy and taking advantage of every day! Or you can make an appointment here with us now!/ You can leave a question with us too!